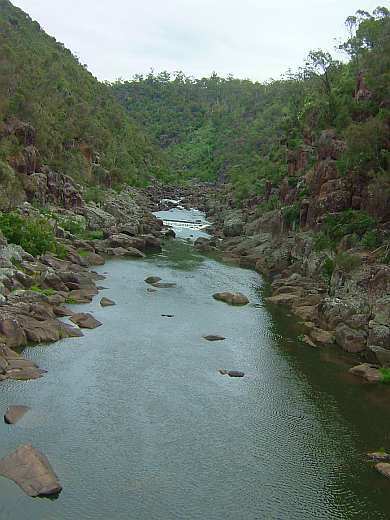 It is 8.30am and we leave to travel east along the coast through Penguin go inland pausing to take in the view at Braddon's Lookout. When passing through Devonport we catch a brief glimpse through our bus windows, the vehicle ferry that connects Tasmania with Melbourne. We stopped for morning tea at Latrobe and found streets busy and a bustling local country market day. 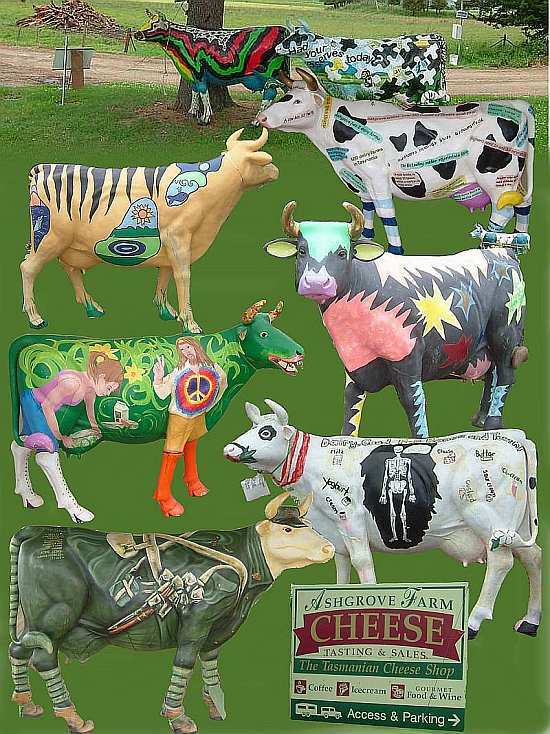 A novel way of advertising a product and also a valuable education learning experience on the value of milk for health and economy was when children competed to decorate the life-size cows given to various schools. Their finished art was displayed at Ashdale paddock entry and around the factory. The owner explained his cheesemaking operation to us and we viewed maturing cheeses through store windows and taste the delicious end product. On to Deloraine, our lunch stop (can we handle it after all the cheese!) and we reflect our day so far! 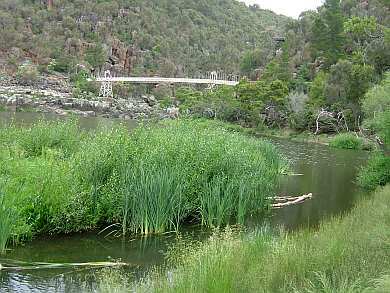 While our cases are taken to the Mercuri Hotel to be unloaded, we visit the Cataract Gorge where we found lucky Launceston has a playground just 10 minutes walk out of town. 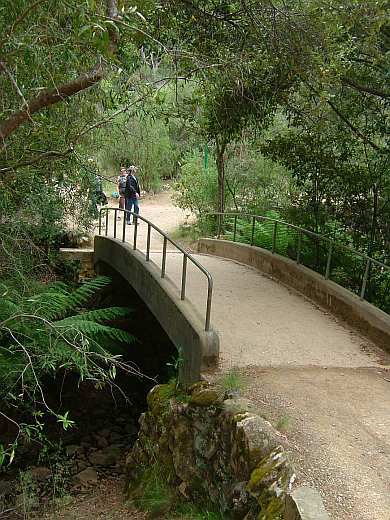 We are surrounded by rivers, a gorge and exotic flora and fauna and enjoy a walk across the suspension bridge, see peacocks and our more adventurous, take the chairlift from the carpark. 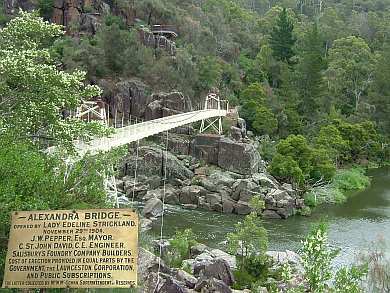 The ride is famous for being the world’s longest single chairlift with a 308 metre central span and a length of 457 metres, and gives an aerial view of the Alexandra Suspension Bridge and Esk River.